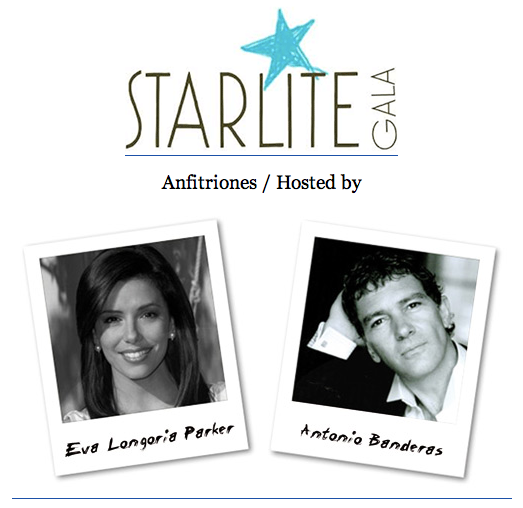 The Starlite Gala will take place on the 7th of August and it is hosted by Eva Longoria and Antonio Banderas at Hotel Villa Padierna in Marbella. The Starlite Gala is a unique Annual International Charity Gala bringing together the worlds of business, celebrity and philanthropy to raise money to improve the quality of the lives of communities, families and children in need.. everywhere! The Starlite Gala will also make a donation to a local foundation in Marbella as well as for the foundations of Eva Longoria called Eva's Heroes, Antonio Banderas foundation and for Ninos en Alegria. At the gala you can enjoy performances from Rosario Flores, David de Maria, EBS, Rafael Amargo, Soraya, Angela Carrasco, Tamara and there are many more surprises.